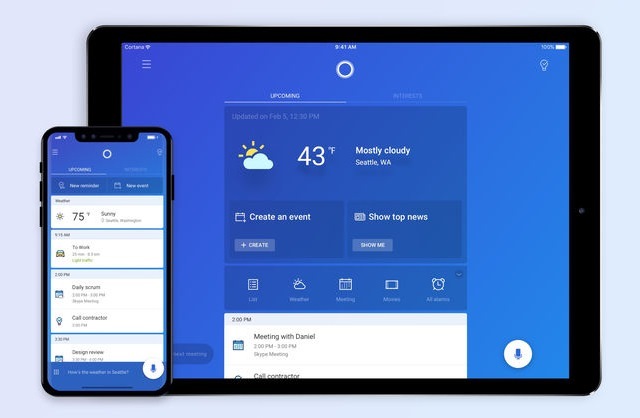 After something of a delay -- two years, no less -- Microsoft has finally ported Cortana from the iPhone to the iPad. The company has not made a great deal of noise about the updated app, but its digital assistant has now been optimized for use on Apple devices with larger screens. The restrictions of iOS still mean that Cortana cannot compete directly with Siri, as it is only possible to access the assistant's tools once it has been launched. While the arrival of the assistant is good news for iPad users, the fact that it cannot be called up when the tablet is locked is something of an annoyance. If you can live with this limitation, however, Cortana can be used to check the news, perform web searches and set reminders. Happy Valentine's Day! We wish you a great 2018 with Cortana, your smart digital assistant. You can download Cortana from the App Store free of charge.